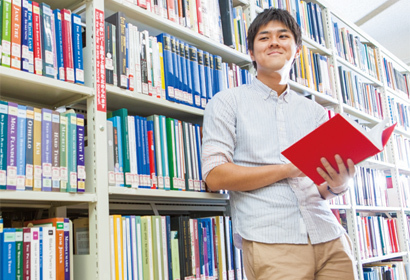 You can Prepare for Long-Term Study Abroad after Starting University! 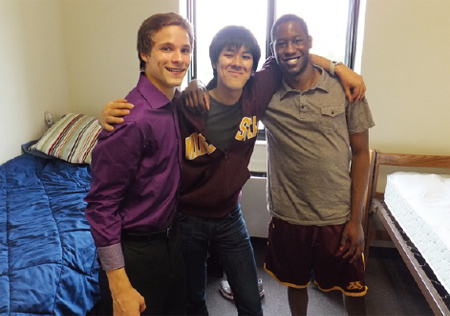 Through taking advantage of the international exchange program at Hitotsubashi University, I was able to spend a year attending the business school at the University of Minnesota in the USA. It was not until the second term of my first year that I decided to undertake long-term study abroad, hoping to feel like I had accomplished something during my undergraduate days. I had no previous study abroad experience, and my TOEFL iBT score was only in the 60 range. 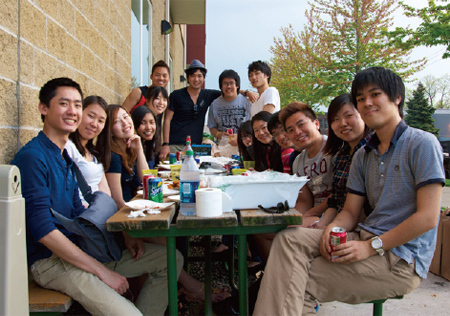 As a first step, I participated in a one-month language training program at the University of California, Davis, in my second year. Through this experience, I was able to gain a general sense of what life was like at an American university. The reason why I chose the University of Minnesota from among many other options was because they have a business school that is highly evaluated across the whole USA. Approximately 90% of the students are Americans specializing in business, and I took regular classes alongside them. The class which struck me the most was international business. This class was conducted like a seminar at a Japanese university, and consisted of approximately 30 students in their fourth year. The content consisted of case studies using an actual business model. The themes included topics like “differences in business management between American and Japanese enterprises,” and “analyzing why a major US amusement park is in trouble in France.” The students were divided into groups, and we presented our own opinions and developed a class discussion. We tackled assignments together, such as “frameworks” that were offered by the instructor. These function rather like an index in business. One of the most well-known frameworks is called CAGE analysis, and can be used to analyze whether or not a new business matches the country or region in question through assessing four aspects, namely culture, administration, geography, and economics. We applied these four to concrete cases in our classwork. I felt that the classes at the business school particularly emphasized connections with real society. My room in the university residence. The person on the left is my roommate, and on the right is a friend of mine who lived on the same floor. As for my English language skills, at first I had a hard time with listening, but after a month or so I became able to accommodate myself to the class. This was partially because of my previous language training experience – I believe I was ready for what needed to be done at the minimum level. Moreover, the background on business administration studies that I had gained in Japanese proved much more helpful than I had expected. Many American students were particularly interested in Japanese business customs or the newest business models in Japan, so my knowledge became a golden opportunity to convey my opinion. I should emphasize that what is needed to study abroad is never just high-caliber English language skills. I do not say so because I did not have any language difficulties – rather, the reverse was the case. That is why I can confidently say that the important thing is having something else – something only you have – that can be respected by your peers even in a different cultural environment. In my case, it was the specialized knowledge that I acquired through seminars at Hitotsubashi University that was highly regarded overseas as well. Since returning to Japan, I have been carrying out research in order to write a paper concerning the international strategies of a Japanese chemical manufacturer. The framework I acquired at the business school has been proving very useful in this context. It is because of my study abroad experience that I came to be able to think about things from a much broader perspective. I feel that I understand at least one of the reasons why people from all over the world are eager to study at American business schools. My job hunt has been successfully completed, and I am supposed to start working at a financial enterprise after graduation. Needless to say, I am hoping to do work related to global business. My current goal is to become an individual who can contribute to Japanese manufacturing enterprises by increasing their competitive power in the global marketplace, and this has also become my motivation.